Hottest TV husband, Ryan Eggold claimed himself to be 90 years old at romance and has a hard time with pick up lines. But, his on-screen mystique has something else to show. The California native had a pretty good start at his acting career. He is recognized for starring as Ryan Matthews in the CW Television Network’s 90210 (2008-2011). And this September 2018, he is all set to portray his lead in the NBC’s drama series, New Amsterdam. He featured his directorial gig in 2017 with the film Literally, Right Before Aaron. And of course, who doesn’t love him for his husband role with on set wife, Megan in the Blacklist. (2013-present). Ryan was born as Ryan James Eggold on 10 August 1984 in Lakewood, California. His father, James Frederick Eggold is of German descent while his mother, Karen has Croatian-Irish roots which give him mixed ethnicity. The acting was in the actor’s feat as he was actively involved in many school theater performances before he graduated from Santa Margarita Catholic High School in 2002. Later, he enrolled in theater arts department in the University of Southern California from where he graduated in 2006. The aspiring actor, aged 34, debuted in the entertainment officially in 2006, as a guest in WB’s drama series Related. Since then he had embraced his acting career clutching roles after roles. The private man thought of keeping his privacy to himself. But guess what, the internet blew it away. The only thing the former Entourage actor wants the audience to know is his exciting professional life. He is not a social media person either. So, the internet didn’t have it easy digging out his dating life. But there was no giving up on looking for his possible girlfriend. Eggold was reportedly in a relationship with Twilight actress, Ashley Greene during 2008. The rumor spread in the air based on the hint he gave in October of 2008 while talking to Life & Style. I’m sort of dating someone – she’s an actress. There was no further update regarding the suspected boyfriend and girlfriend until March 2009 when Life & Style reported his relationship with The Haunting of Molly Hartley‘s Haley Bennet. But, it is conspicuous to conclude on the actor’s relationship history unless he decides to put some light on it. Some people need something to strike them before they finally decide to go for a long-cherished endeavor. Ryan’s directorial debut in Literally, Before Aaron (April 2017) was the result of a threatful prank his ‘crazy ex-girlfriend, whoever she be, played on him. The joke was a threat of getting engaged to someone else so that he would regret the break-up, the rest of his life. But he knew better than to regret as he created a movie out of it. The film dwells on the story of a guy who is bound to deal with unresolved feelings towards his college girlfriend, whose wedding he attends. Deep, right? Based on the story, the debuting director was asked whether he attended the wedding. No, she wasn’t actually engaged. It was an empty threat, which is even more crazy. Hmm, this is why the 34 years old claims to be too old at romance. But hey! He sure is trying to experiment with his young heart. 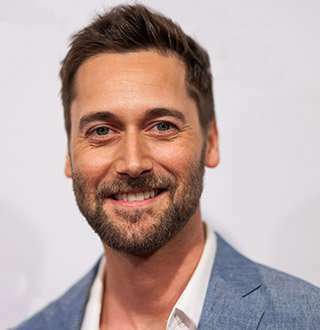 Is Ryan Eggold Married To Secret Wife? If one is to look for a celebrity's marital status, then he might as well expect the unexpected. Some are out and about with their relationship while some are too skeptical to let out a clue. And Ryan here has secured his seat in the latter category. But there is one way, we can speculate how his possible married life will be. And it is through the Blacklist. While people can’t stop awning the on-screen chemistry between Ryan and his TV wife Megan, he is consumed by his urge to keep things close in a fist. But one day if he finds the one, he has full potential to be a good husband. All left to do is, wait to see who his lucky lady will be. Steve Backshall Wife & New Family - Baby Son Separation; Why Stay Away?